In recent years, the debate on climate change has increasingly shifted its attention toward the role that forests can play in mitigating the effects of global warming. Responsible forest product sourcing has become a key element to this and industry players link the value of their brands to the contribution they can make to sustainable development. There’s a shift of paradigm in recent years: companies are now involved in creating a space for sustainability and are actively promoting it through concrete actions and taking it all the way down their supply chains through their purchasing policies and production outputs. The consumer has also changed and is now conscious that he too can and does have a say. The arrival of a new generation of globally motivated consumers is leading the way for a more conscientious society. FSC certification provides companies with the necessary tools to deliver these guarantees to their customers. So when we enter a store, countless products are on offer to remind us that responsible sourcing is an option: from textiles to furniture to packaging to paper and countless other goods. An exciting new way to understand this shift is through the fashion industry and how textile is leading a revolution by increasingly sourcing FSC certified tree fibre manmade cellulosics (MMC). Important fashion brands have begun adding these to their product catalogue and FSC is posed to be a front runner by supporting the fashion industry in achieving transparent and traceable sourcing of renewable raw materials, protecting endangered forests as well as the people and animals who live in them. To understand how responsible forest management and FSC certification is being taken to meet the demands of consumers, FSC in our daily lives will count with the participation of three key industry players representing the textile, packaging and DIY retail sectors offering valuable insight into how FSC is increasingly present wherever we are. Prior to her current position, Catriona was the senior director of internal comms at Walgreens Boots Alliance, and before that, she was a director at Brunswick, based in London. She is from Canada and has been based in the UK for 16 years. Samuel Sigrist has held the position of President & General Manager, Europe, since 2013. 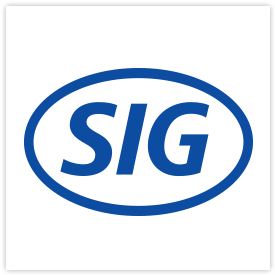 Prior to his current position, Samuel Sigrist has been involved in various finance roles at SIG dating back to 2005, including most recently, Director of Group Controlling & Reporting, Head of Finance/CFO of Europe and Head of Group Projects. Samuel Sigrist joined SIG from Arpagaus & Baumer, where he worked as a business consultant. Samuel Sigrist holds a Bachelor Degree in Business Administration from the Zurich University of Applied Sciences, a Master of Business Administration Degree from the University of Toronto and a Global Executive Master of Business Administration from the University of St. Gallen. Forestry Engineer from Swedish University of Agriculture. Ulf joined IKEA in 2001 as Forestry Manager in South East Asia, and since then has held different positions in the IKEA supply organization, all the time focusing on forestry and wood based furniture. Ulf lives with his family on a small forest farm in the south of Sweden.